At Mastertech, we are the area leader in Oceanside BMW auto service and repair, having built up an impressive list of satisfied customers over our years. Ask around to your friends and neighbors that own a BMW and it is a good bet that many of them have already come into our garage. Our reputation is built on honest work and fair prices, and we would love to show you just what we are all about. 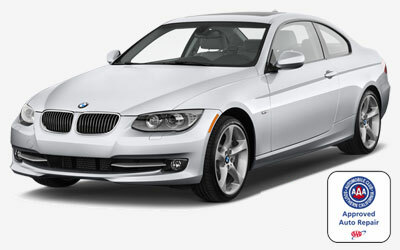 BMW is well-known as one of the finest lines of automobiles in the world. If you are the lucky owner of one of these machines, you surely want to keep it healthy for as long as possible to get the most enjoyment from your investment. Our team of A.S.E. Certified Technicians has worked on all different BMW models, including the 1 Series, 3 Series, 5 Series, 6 Series, 7 Series, X1, X3, X5, X6, Z4, and M Series. Anything we do to your BMW will be backed by our warranty. Whether you just need a quick oil change or brake job, or something major like an engine repair, our team is there for you. Additionally, we offer customer service benefits like drop off and pickup service in the local Oceanside area. Whatever you need, don’t hesitate to ask and we will do our best to accommodate you. Call or stop by today if you are in the Oceanside area.